All-ages adventure! 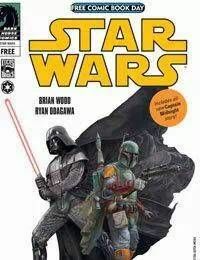 Star Wars joins fan-favorite villains Darth Vader and Boba Fett! Then explore the upcoming Dark Horse series Captain Midnight, where the search for the missing superhero is on! And the smash hit Avatar: The Last Airbender follows Mai as she deals with her broken heart . . .